Foreign visitors who wish to enter Japan must have a passport, which will remain valid during the period of their stay. If your passport is due to expire in less than 6 months, you might be denied to enter to Japan. Citizens of 68 countries and regions, including most Western nations, can obtain landing permission on arrival without a visa. This is usually valid for a stay of up to 90 days, although certain European nationalities and Mexicans are permitted to stay for 180 days if they note a longer stay upon entry. All other nationalities must obtain a "temporary visitor visa" prior to arrival, which is generally valid for a stay of 90 days. No visa is required for a same-day transit between international flights at the same airport, so long as you do not leave the secured area. The Ministry of Foreign Affairs maintains an online Guide to Japanese Visas which provides detailed information. As the type of documents required for the application may differ according to the purpose of your visit, the applicant is advised to contact the Consular Section of the nearest Embassy or Consulate General of Japan for more information and advice. 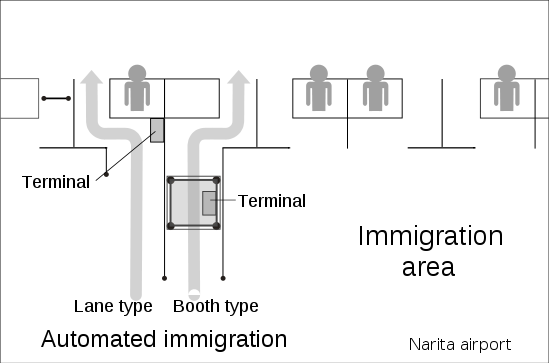 As of 2012, a new system is in place for foreigners staying for longer than 90 days where a Residence Card is issued at the port of entry, but the system currently applies only to arrivals at Narita, Chubu, Kansai, and Haneda airports. Arrival at other ports of entry will require that a residence card be obtained in a manner similar to the former alien registration system and a stamp will be placed in your passport to note this. 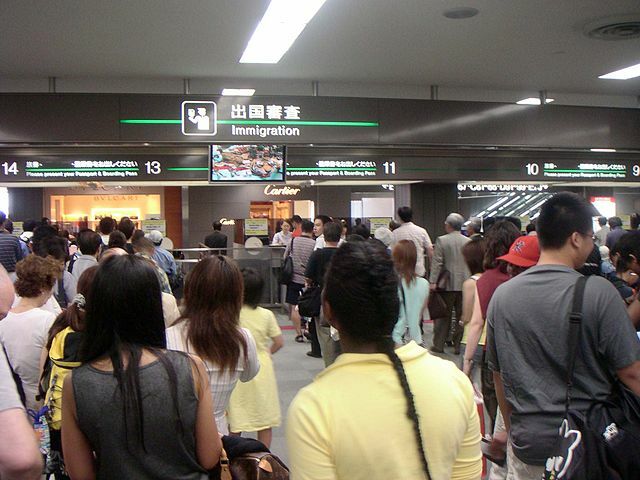 Under the rules in place as of 2012, a re-entry permit no longer needs to be held, in most cases, for temporary stays of less than one year outside Japan. However, the Residence Card needs to be surrendered upon the final departure from Japan. Previously issued Certificates of Alien Registration "Gaijin Cards" (as of July 8, 2015), are not valid anymore. A customs issue that trips up some unwary travelers is that some over-the-counter medications, notably pseudo-ephedrine "Actifed, Sudafed, Vicks inhalers" and codeine "some cough medications" are prohibited in Japan. Some prescription medicines "mostly strong painkillers" are also banned even if you have a prescription, unless you specifically apply for permission in advance. ​You may also require permission in order to import drug-filled syringes, such as EpiPens and the like. Ignorance is not considered an excuse, and you can expect to be jailed and deported if caught. 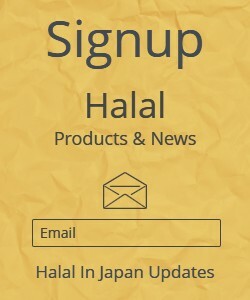 See Japan Customs Website for details, or check with the nearest Japanese embassy or consulate. Once in Japan, you must carry your Passport or Residence Card with you at all times. If caught in a random check without it you'll be detained until somebody can fetch it for you. First offenders who apologize are usually let off with a warning, but theoretically you can be fined up to ¥200,000.